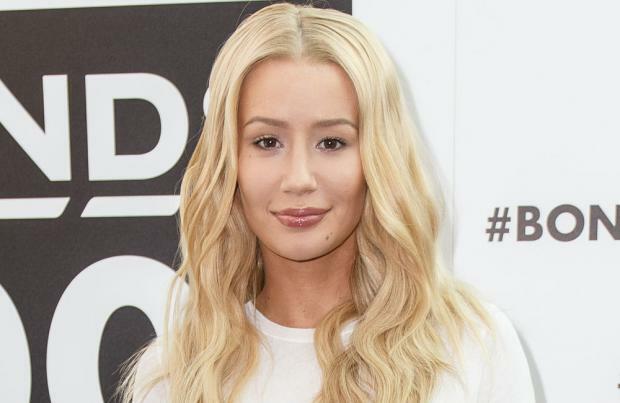 Iggy Azalea has shunned a 'Lady Marmalade' remake. Rita Ora recently revealed she wanted to recruit the rapper along with Miley Cyrus and Charli XCX for a new version of LaBelle's 1975 hit but Iggy has slammed the idea, insisting she won't be taking part. She tweeted: "Please leave me out of the whole Lady Marmalade conversation. I have nothing to do with ritas ideas & agree it should be left alone. Thanks (sic)." Speaking about the idea, the 'Body On Me' singer previously said: "It's always been my goal to create another 'Lady Marmalade'. I'm trying to round up the troops - I think it would be me, Miley, Charli XCX - she'd be fun - and Iggy." The track was previously covered by Christina Aguilera, Lil' Kim, Mýa and Pink in 2001 for the 'Moulin Rouge!' soundtrack but Iggy made it clear she wants to leave the song in the past. And while Miley Cyrus has yet to comment on whether she would like to be involved, 'Boom Clap' hitmaker Charli revealed on Twitter she would love to re-record the hit, before deleting her supportive tweet. Replying to a tweet about the idea in her since-deleted response, she wrote: "ummm I'm down".